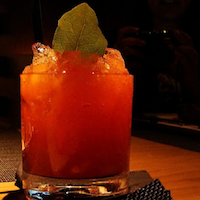 Home Uncategorized Join Us For an Exclusive Taste of Modern Mexican Cuisine! Three courses + three incredible chefs + one steal of a deal = our next social hour! What: Our next Social Hour! 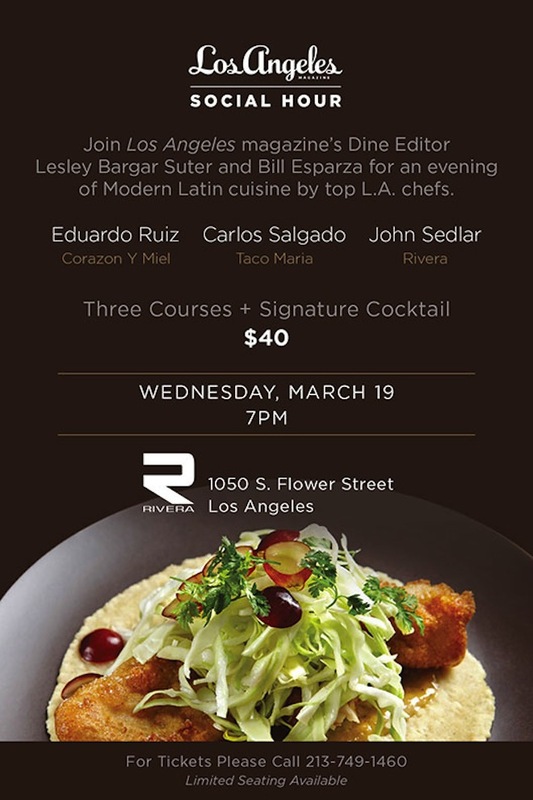 Join dine editor Lesley Bargar Suter, Bill Esparza, and chefs John Sedlar (Rivera), Carlos Salgado (Taco Maria) and Eduardo Ruiz (Corazon y Miel) for a three-course tasting of Modern Mexican cuisine. Restaurant critic Patric Kuh hails the new stars of L.A.’s Nueva Mexicana movement in this month’s issue and now you can taste what all the buzz is about at Rivera downtown. It’s an epic line up that your tastebuds will not forget! Each chef’s course is a representation of modern Mexican cuisine—elevated riffs on tacos, stewed meats, roasted chilis, and salsas that will leave your tongue tingling with flavor and heat. Mingle with us over a signature cocktail crafted by bartender Julian Cox and get the low down on the food and drink scene in L.A. right now. Plus, get to meet the chefs behind the Modern Mexican movement—featured in our March issue! Where: Rivera Restaurant, 1050 S. Flower St., Downtown. How: For tickets ($40 per person includes three courses and one signature beverage; excludes tax and tip) and to reserve your place, please call 213-749-1460. Previous articleWhat if Every Beck Album Was an L.A. Neighborhood?